I’ve been a blogger for roughly 8 years now, and have had several different blogs in different formats. Each blog had a different purpose. As a blogger, I spend quite a bit of time surfing other blogs to see “what’s up” in the blogging world. A great blog and post I stumbled across today may be found here. Whether you are a new blogger or experienced, I think it might be a good one for you to take a look at. The blog is called “Beginner Blogger.” It has great ideas and tips for any blogger, actually, not just beginners. Take a look! The blog post I read this morning is an interview with blogger Derek Jensen. The questions and responses in the article stimulated me creatively, and made me wonder what responses quilt bloggers might give if asked those same – or similar questions. Take a peek at his responses found here and then the questions below. I’d love to read your responses in the comments section, below! What a great way to begin the New Year! 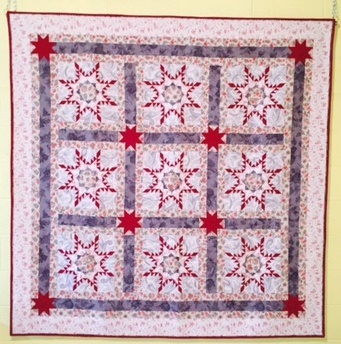 Is there anyone in the quilting/blogging world that you try and model yourself on? What are your main strategies or goals for your blog? If you could start your blog all over again, what 3 things would you do differently? What are your 2010 plans for your blog? What are your 2010 plans for you as an artist/quilter? What one thing would you suggest to a beginning quilter? As you ponder these questions, please post your responses by clicking on the comment area, below.